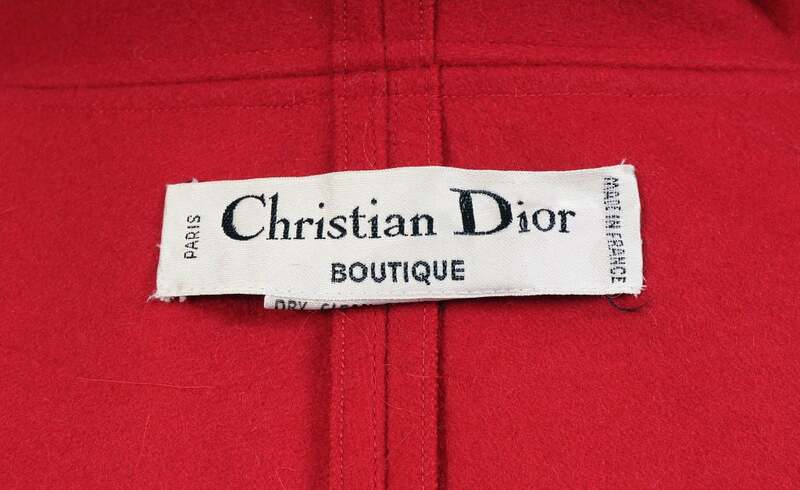 Glamour and drama accompany the wearer of this gorgeous cape, and it is from Dior, Paris. The perfect cherry red wool is trimmed with a handsome wool braid in the same color. 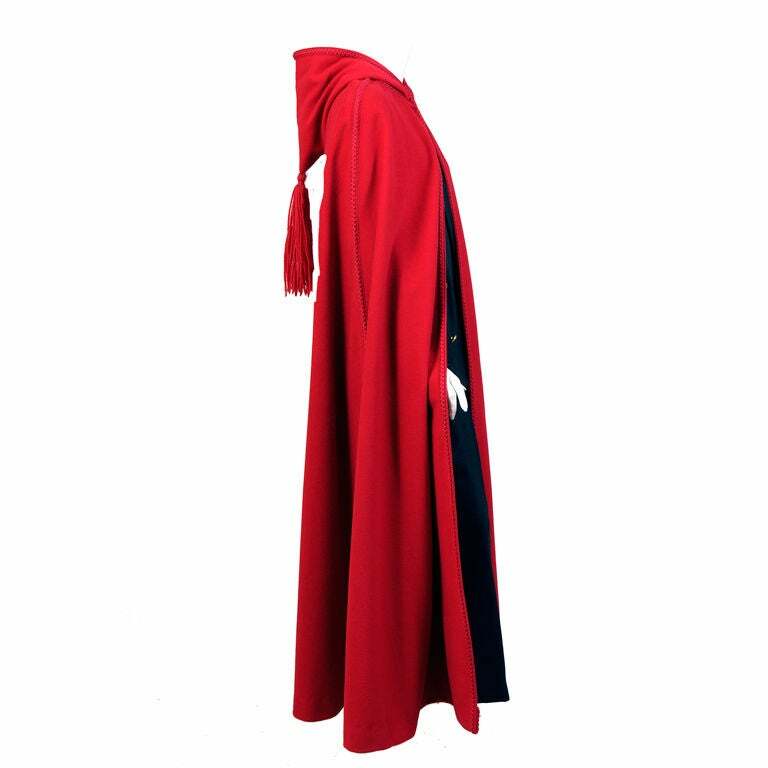 It wraps around the center front and edges the face flattering hood. 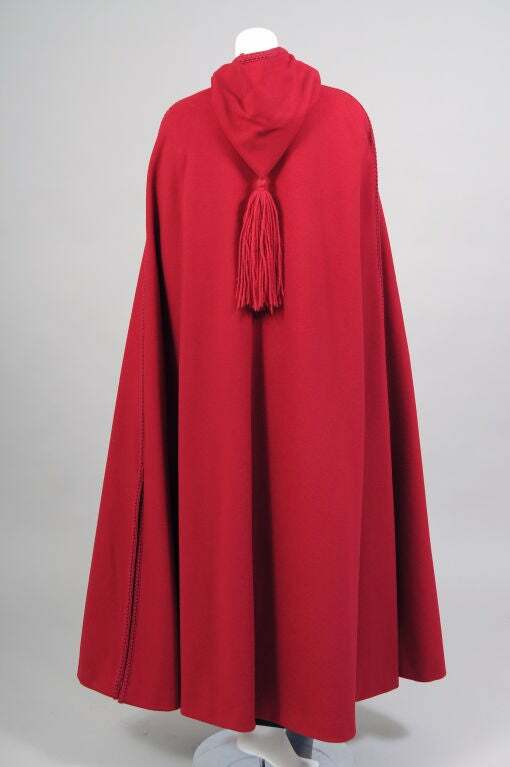 This hood is further embellished with a long thick wool tassle. 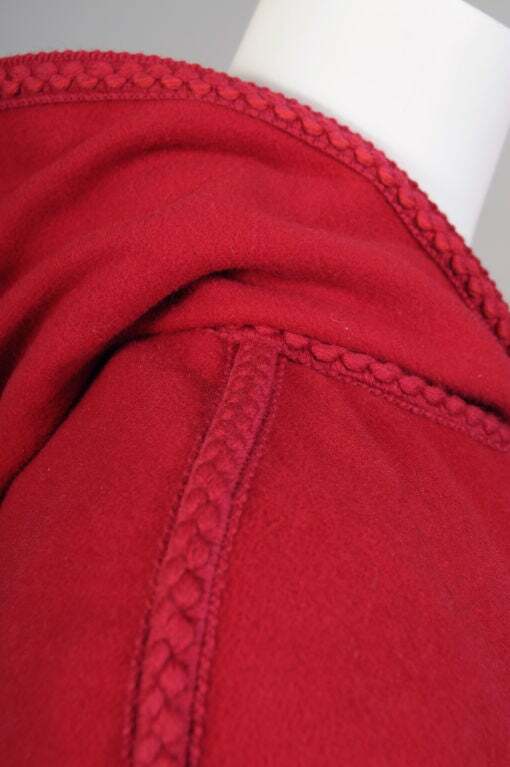 The side seams are covered with the braid, and it edges both sides of the deep slits in these seams. 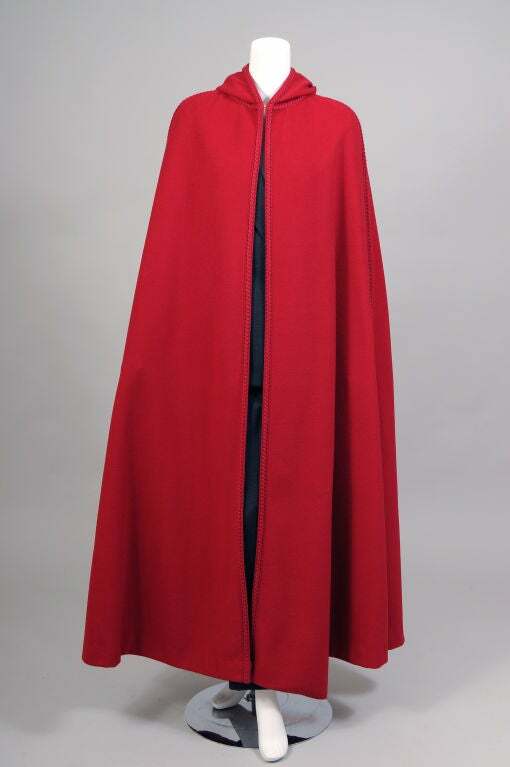 This cape is unlined, flowing and elegant, it just radiates red hot glamour and sizzle. 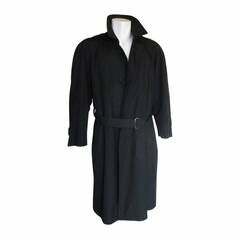 There is a hook and eye for closure, and one size fits all. 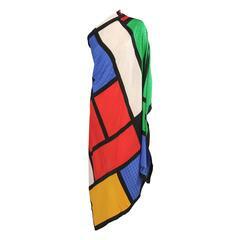 Inspired by the iconic work of Mondrian this woven silk shawl is done in bright primary colors bordered in black. It is in excellent condition. 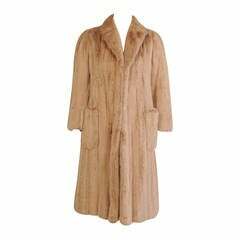 Measurements; Height 45" Length 57"